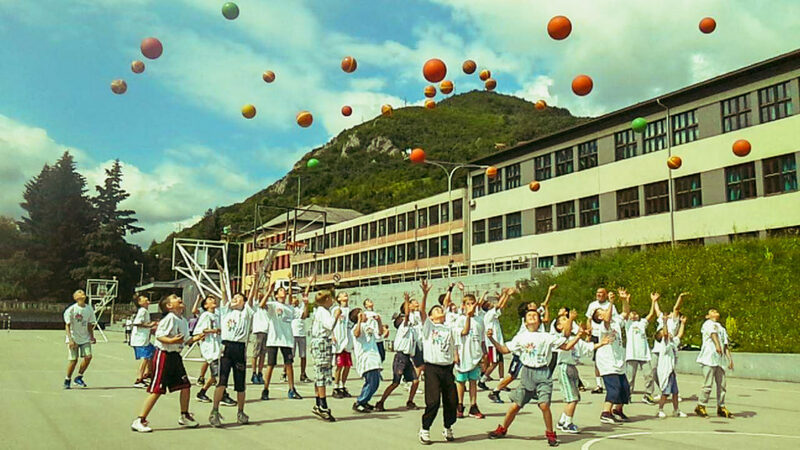 Basketball and children who like basketball. The picture was created in the Prijepolje of the hometown of basketball players Vlade Divac. He is the idol of all these children and in general, all who are engaged in basketball in this city. His success and career changed the way of training and the life of these children.